There’s a good lot of zombie news floating around the past couple of days. Probably the biggest news is that Dead Island has gotten its official announcement trailer. And what an announcement trailer. In a matter of hours, it has gone completely viral. It’s suitably creepy and impressive. Although we don’t actually get to see any of the game in there, it has pretty much won the internet. Axes sinking into rotten flesh, spraying gore and dismembering as it goes? Check. Lo and behold! And, what’s creepier than a little girl? The game is released in August 2011 in the States. There’s no official UK/Ireland release date as yet, but it’s more than likely going to be within a few days of the States’ release. I mean, why would they hold off bringing such an amazing looking game to us? The Walking Dead Game is real. Yes, after what seems like decades of speculation, it has finally been revealed as being in development. 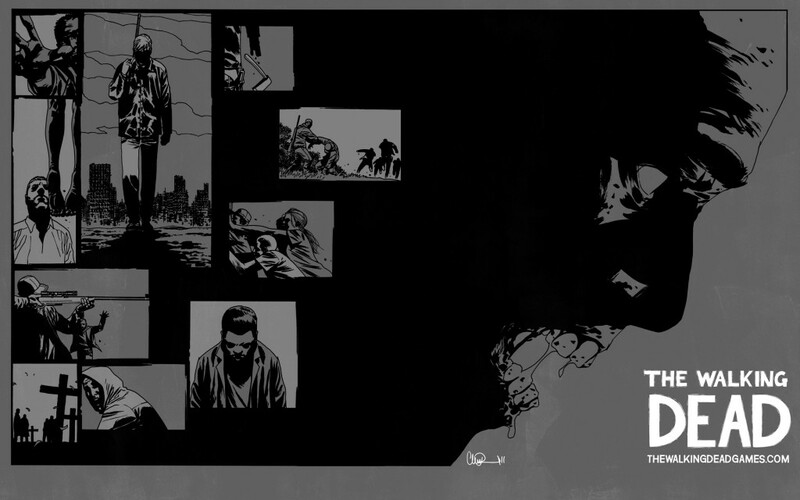 In fact, the deal with Robert Kirkman and Telltale Games is for multiple videogames based on the hit comic. With the interest and quality of the TV show waning, we’re hoping they’re not just clutching at straws here and are actually going to go for this game and really capture what made the comic such a hit. It’s unclear what genre or, in fact, platform the game is being developed for. What we do know is that if there’s any further developments, we’ll let you know about it. Until then, check out the first official artwork wallpaper. As always, click to enlarge. It has been rumoured that Bungie’s next game may well be an MMOFPS called Destiny. Hot off the back of the last installment in the Halo franchise, Bungie aren’t ones to take a breather for long. If this game comes to fruition they’ll still staying within the range of what they do fantastically, and that’s FPS, however they’ll be pushing the proverbial boat out massively (pun intended) here by making it an open world MMO. The rumours of this game have come with the news of group layoffs at the company, which Bungie themselves have comment on being false. However, they’ve yet to comment on the rumours about this game. It’ll be interesting to see if it really will come to fruition. And, please, if Bungie aren’t making it, somebody step up to the podium!